The shootouts came two days after a group of cartel assassins fatally shot Edgar Humberto Vega Avalos, Nuevo Laredo’s prison director. Avalos was traveling in his American-made truck on Cerro del Cubilete Street in Colonia Enrique González when assassins opened fire on the vehicle he was in Saturday night, according to the Tamaulipas attorney general’s office. Here is the alleged crime scene where Avalos was executed. Fue una emboscada por parte del #CártelDelNoreste hacia el director del penal #2 de nuevo laredo. 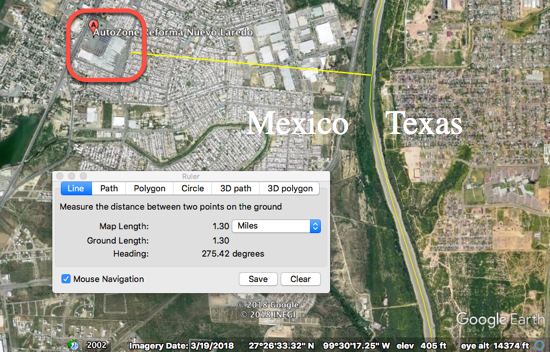 On Tuesday, heavy automatic gunfire was heard at the AutoZone/Walmart shopping complex located roughly 1.30 miles away from Texas. 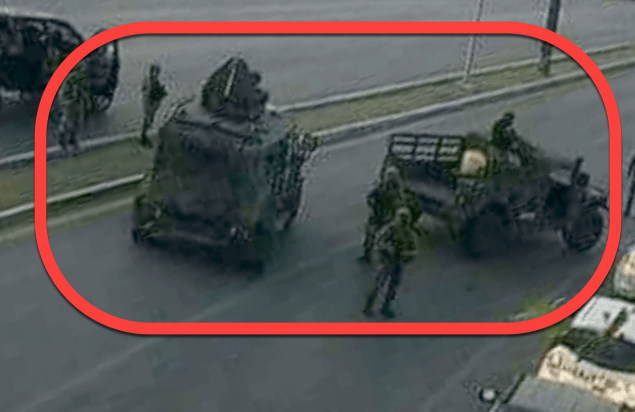 A citizen journalist risked his life to capture this incredible footage. The next video shows civilians taking cover outside of a food stand while automatic gunfire was heard a few blocks over. As authorities had difficulties containing the shootout, motorists were trapped in the crossfire. Some of the alleged assassins traveling in Ford trucks. Security cameras inside a Walmart located about 1.30 miles from the Texas border, show the moment when Mexican special forces confronted Mexican cartel members. More citizens caught in heavy automatic crossfire. The U.S. Department of State considers Tamaulipas a “Level 4: Do Not Travel” state due to crime. Authorities said that violent offenses — murder, armed robbery, carjacking, kidnapping, extortion and sexual assault — is common. 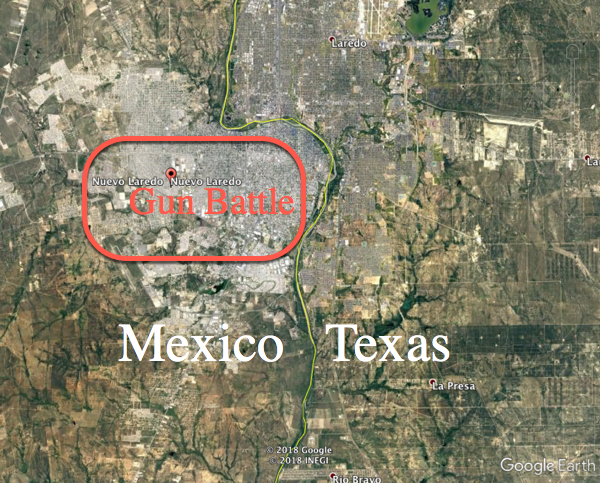 Gang activity and gun battles are widespread, according to Mexico’s travel warning. “Armed criminal groups target public and private passenger buses traveling through Tamaulipas, often taking passengers hostage and demanding ransom payments. Local law enforcement has limited capability to respond to violence in many parts of the state,” the warning states. As for the Mexican President-elect Andrés Manuel López Obrador, well, he intends to create a new border-police force to contain the out of control cartel violence in the country, his incoming chief of public security Alfonso Durazo, told Bloomberg in an interview Monday. The outgoing Mexican President, Enrique Peña Nieto, will transfer power to Obrador on December 1st. Peña Nieto leaves behind a country suffering from record high murders — some of the worst in the world. 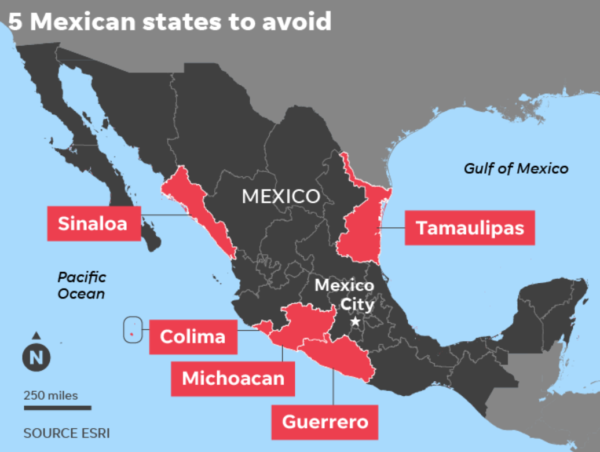 Bloomberg notes that Obrador will meet with U.S. Secretary of State Mike Pompeo on Friday, as both will likely discuss the events that unfolded in Nuevo Laredo. 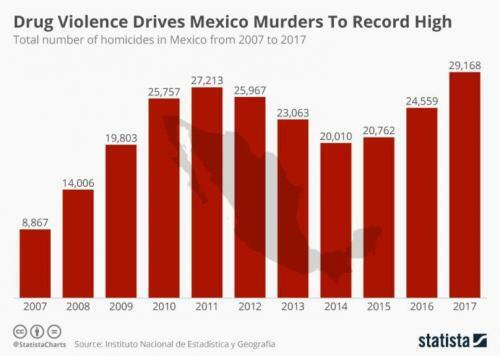 In another interview with The Associated Press, Durazo was optimistic about the reforms, which he called a “Mexican recipe for peace.” Still, Mexico’s record violence and homicides produced by drug cartels will not be resolved in the near term. The peak of violence has yet to come as the Mexico–United States border braces for more violence.